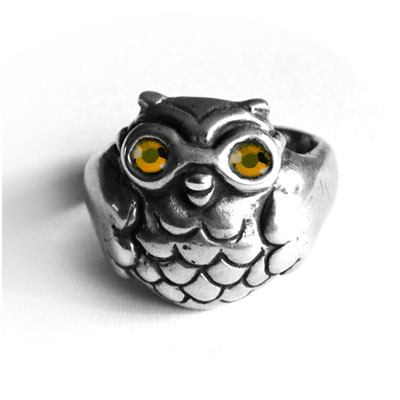 This Nerdy Birdy owl ring is completely unique because it is completely hand sculpted and cast into 100% sterling silver. This ring is based on original artwork by tsai-fi. The Nerdy Birdy has gem eyes that come in Blue or Pink Rhinestones. The gem eyes are made of Swarovski Elements.